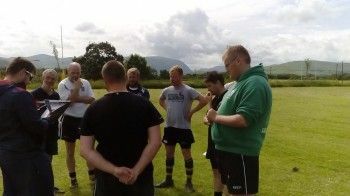 Support from the Costain Fund has recently enabled Cockermouth Mini/Midi RUFC to deliver a coach development and mentor programme. Young players from the U18 team have undertaken a UKCC ‘Coaching Children in Rugby’ Level 2 course and 10 new adult volunteers have undertaken the IRB RugbyReady Course. As part of the scheme the young players were matched up with one of the adult volunteers sitting the course to allow mentoring to occur for support. One young coach was highly praised throughout the programme and he has now decided to attend university to study sports psychology. He also now helps the club on an up coming programme called ‘Return to Rugby’ and has been invited to support a local sports coaching business.